Our First Picker/Service Truck has Sold! Our first truck may have sold, but we are already working on getting more complete. We have sold our first complete picker truck with deck. We are currently building 2 more on spec. For more information on how you can custom order these trucks to meet your needs, contact us. Truck Zone is Proud to Announce our Partnership with North West Crane. As promised - we wanted to keep you updated on our developments on our New Picker / Service Truck offerings. Today - In Lloydminster, we currently have In Stock a brand new 2018 Dodge 5500 SLT Crew Cab w/ 571 Ferrari Picker Truck – Ready to go to work!! Join us at our North Location, 15202 94 St. for our Customer Appreciation and Grand Opening BBQ Wednesday May 16th from 11am till 3 pm. We will have Factory Reps on hand to answer all of your questions from a great selection of our partners and suppliers as well as door prizes, door crasher sales, special draws, and of course free food and refreshments. With an overwhelming response at our 1st Annual Customer Appreciation Day, we are pleased to announce Truck Zone will be hosting our 2nd Annual Customer Appreciation Day & Mini Trade Show, on Thursday, May 3rd. -TSE Brakes, Gorilla Brake & Components, TW Tanker Components (Betts, BTI NVE,…), Donaldson Filtration Solutions, Capital Gear (Drivetrain Specialists), Kinedyne (The Cargo Control people), Monroe Shocks & Struts, Pro Force Marketing Group (Ace Clutches, ATRO), Specialty Sales & Marketing Group (Dorman HD Solutions), North West Crane (Ferarri & Manitex Cranes), Advanced Spill Protection Systems (ASPS), GrandWest Enterprises, And Many More. Please ‘Save The Date’ in your calendar and we hope to see you on May 3rd. After serving the Wetaskiwin community for more than three decades as R&A Direct Parts, TZ Parts will continue to provide you with the same superior service you’ve come to depend on from our team. Our new location on the Wetaskiwin Auto Mile means you’ll have convenient access to our robust selection of heavy-duty truck and trailer parts, PPG paint and body shop supplies, and industrial and agricultural products. serve you as we expand our offering as TZ Parts. We bring the repair to you. With our 24/7 support and service truck, we are there to help you get your truck back on the road. With shops across Alberta we strive to be the most comprehensive heavy duty truck, trailer repair and parts provider in the industry. Roadcheck 2017 Focus will be on Load Securement – (Ratchet straps, winch straps, E-Tracks, load straps, winches and hardware will all be inspected for condition and proper utilization), Nothing better than new load straps/ hardware etc.… for an upcoming MOT inspection event. Why is Compliance So Critical to our Customers? Last year, during Roadcheck 2016, 17.8% of all the vehicles inspected were placed out of service. Being placed out of service can lead to a multitude of negative consequences, including delayed shipments, lost revenue, a tarnished company image, loss of customers and MOT penalties can negatively affect our customers operating record/authority. Note: please see information attachments we may share with our valued customers: Roadcheck Program Overview, NSC Regulation – Cargo Securement, Enforcement Officers Tips for Professional Drivers. Inspectors will primarily be conducting the North American Standard Level I Inspection, which is the most thorough roadside inspection. 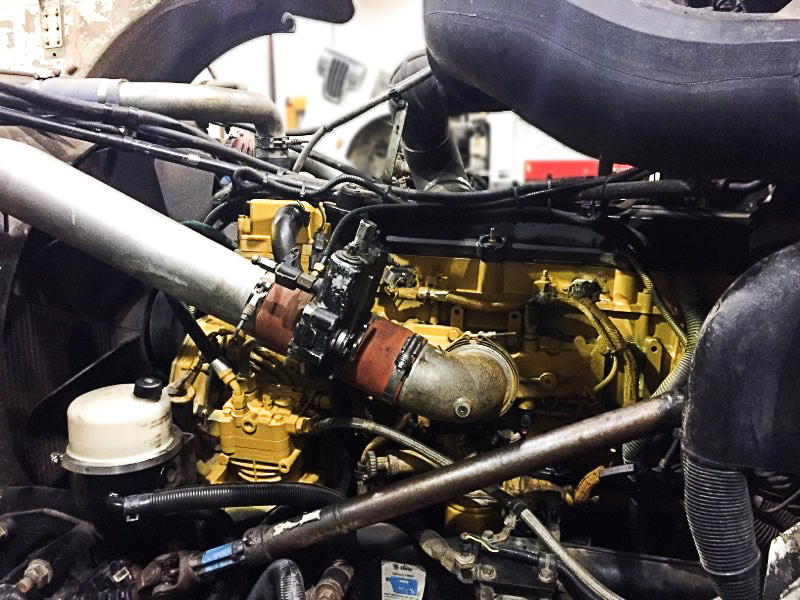 It is a 37-step procedure that includes an examination of both driver operating requirements and vehicle mechanical fitness. Drivers are required to provide items such as their driver’s license, hours-of-service documentation, motor carrier registration and shipping documentation, and inspectors will be checking drivers for seat belt usage and the influence of alcohol and/or drugs. The vehicle inspection includes checking items such as the brake systems, cargo securement, coupling devices, driveline/driveshaft, exhaust systems, frames, fuel systems, lighting devices (required lamps), steering mechanisms, suspensions, tires, van and open-top trailer bodies, wheels, rims and hubs, windshield wipers, and emergency exits (on buses). International Roadcheck is the largest targeted enforcement program on commercial motor vehicles in the world, with nearly 17 trucks or buses inspected, on average, every minute in Canada, the United States and Mexico during a 72-hour period. Since its inception, more than 1.5 million roadside inspections have been conducted during International Roadcheck campaigns. In Frame Engine Rebuild, Part 2, Completion. 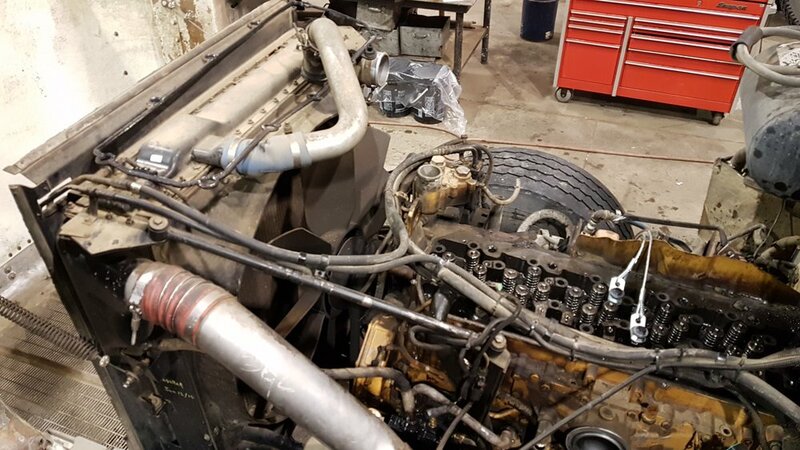 Here is an update on our in-frame engine job completed at our Lloydminster location. 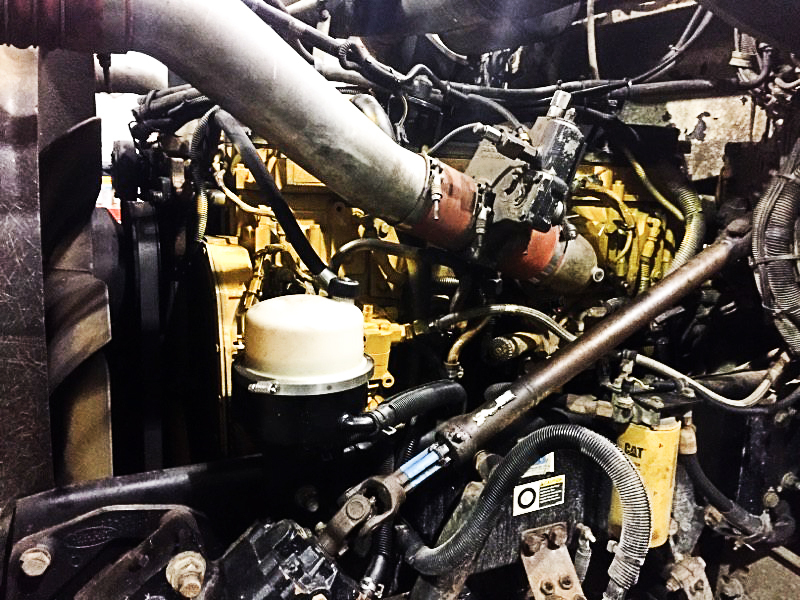 The In-Frame Engine Rebuild was done on a Cat C-13. The project was done on time, (keeping the customer "on the road") on budget, and was backed by a 12 months parts and labor warranty. We topped off the service with our Josam Wheel Alignment. This is a near complete engine rebuild in frame.